The majority of web developers develop their websites and services locally before they publish them on the Internet. This makes sense in a variety of ways, from saving a lot of bandwidth to faster updating or improved security. Even better, new technologies have made it a lot easier to setup a local web development system on any PC. 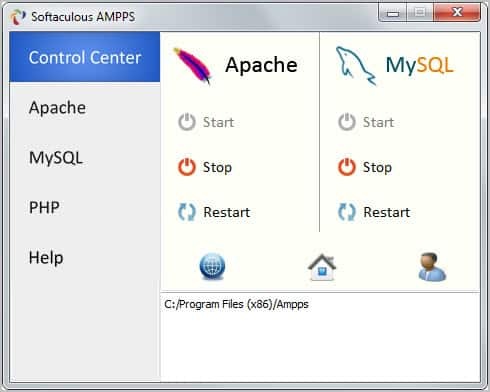 Ampps, which stands for Apache MySQL PHP Python Softalicious, is a free web development environment for the Windows and Mac OS X operating systems that can be installed with just a few clicks. Once up and running, it is up to the user to install web applications from the local admin interface. The program can install 260 web applications that include highlights such as WordPress, Joomla or Drupal, and lesser known applications such as the course management system Moodle, several types of Wikipedia-like applications or feed aggregators such as Gregarius. When you first start the program after installation you'll get into the admin console where you can configure Apache, MySQL and PHP, and start, stop and restart the services. 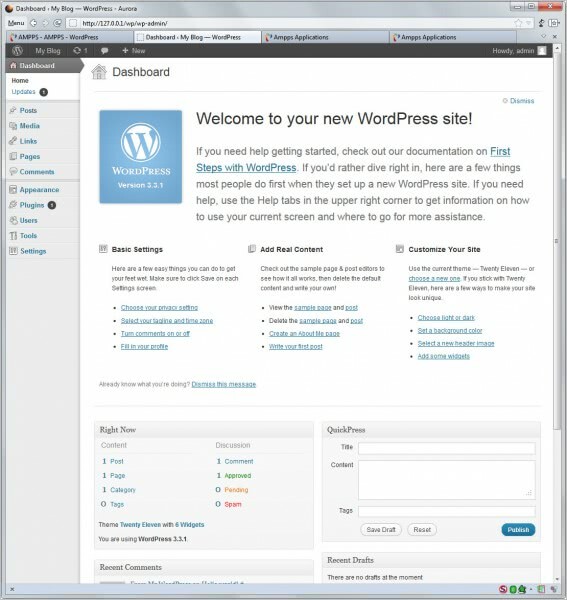 Links in the form of icons open the local web administration interface or the apps that are currently up and running. 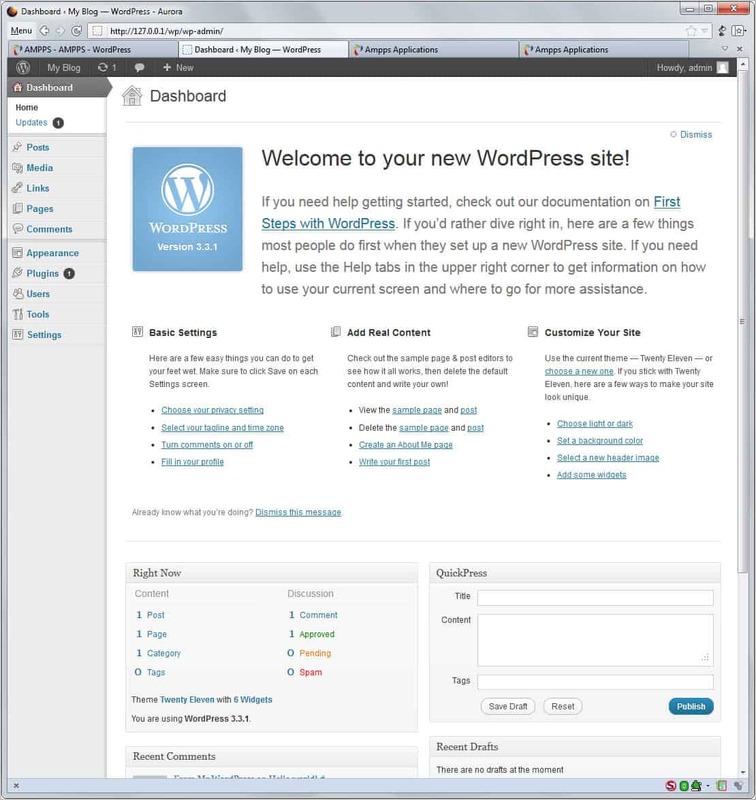 The web admin interface displays a list of application categories on the left, and links to core admin pages to the right. Here you can install and maintain databases, manage and add domains, edit general settings or access PHP and Perl information. To install a web application, you click on the download button next to it to bring up a page with detailed information about it. You can install the script right away, or look at features and screenshots, open a demo page or access ratings and reviews. A click on install opens the software setup page with all information filled out automatically. While it is possible to run the setup with the selected values, it is suggested to change at least the admin username or password if required. A click on Install on the page downloads and installs the latest package automatically on the local system. You can thereafter open the new application to work with it. What sets Ampps apart from other solutions like WordPress Portable, XAMPP or Wampserver are the applications that the program ships with. The inclusion of phpMyAdmin and SQlite Manager is also a great help in importing existing data into the local development environment. Web Developers and users who want to run web applications locally can make use of Ampps to do so. Ampps is available for Windows and Mac OS X. Downloads are offered at the developer website. Cool. 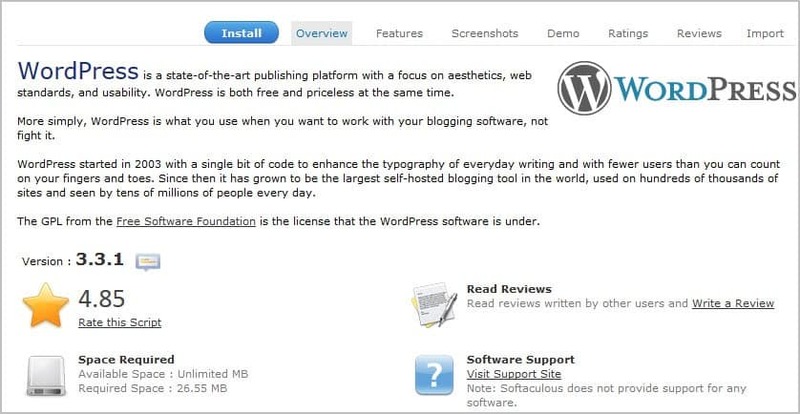 Even only for the list of a lot of CMS software you could consider. Thanks for the writeup on this. Very useful app for checking out various server packages.